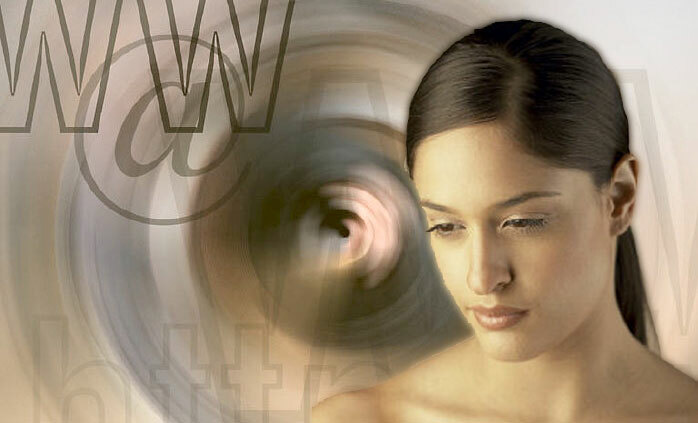 #garyhayes Article t.co/5WTEMBxr #transmedia #storytellers Are you Experiential? Nicely written. Experiential entertainment is definitely the way to go, 2012 and beyond. Technology is growing fast and the people are starting to get confused on what to focus. If you love something new today, before you get used to it, another good technology comes to replace the previous one. Thanks for illustrating the levels of experiential media. Only a few a able to reach the highest level. Which level do you think is the most stimulating? I think it’s the emotional level. Exploring new things is not as bad as they’ve thought they would be. Sometimes we need to try innovative measures to help us improve. I love the portrait by Gary Hayes. I would love to be a part of your personal experiential entertainment Holodeck. How do I do that? I constantly seeing a lot of ideas and applied innovations in the internet. People who are looking for ways to enhance the experience and improve the quality of entertainment are brilliant. As consumers, we are always waiting what advancements will come next. I am impressed with the efforts they have made to make the movie experience different and more exciting. Glad I learned the building blocks of experiential media. There are 5 levels and which one do you think has the most impact to viewers? Thanks for sharing these levels! I learned a lot! I can read that ‘good book’ later, but as of now, I’m going to try this out. Your opinion is right. Now a days 3D and 2D animated movies are being populated day by day. I also addicted my animated movies. Who is the creator of the pic? Yep, “why” is the most powerful question; no matter what you’re trying to experience. The more you ask it, the more successful you will be. I learned so much tonight. 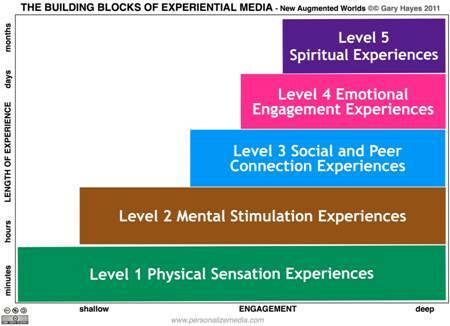 Thanks for that infographics of the 5 levels of experiential media. Which movie can you name that depicts all five levels?